This photograph shows Stanier 8F class 2-8-0 No.8444 (later 48444). 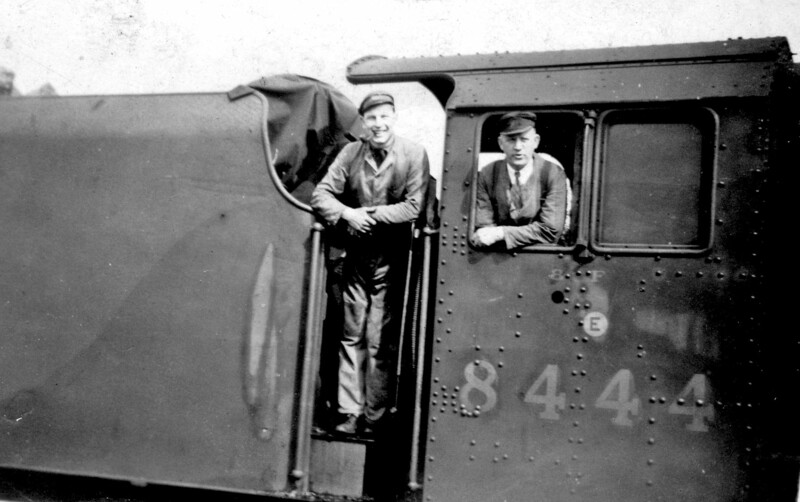 Geoff Hocking is standing on the footplate but the person on the right of the photograph is not known. This is a rare photograph taken during World War 2 and it is dated on the rear to June 1940. Although the Stanier 8F's were an LMSR design this engine was actually one of a small batch of the class that were by the GWR at Swindon.